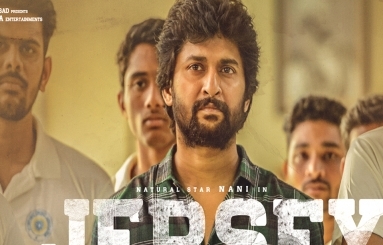 Maheshs Next to be shot in USA | Mahesh Babu News Mahesh's Next to be shot in USA: Mahesh Babu signed a film for Vamshi Paidipally and the movie will be extensively shot in USA. Pooja Hegde is the female lead. Superstar Mahesh Babu is sure one of the finest actors of Telugu cinema. He is in plans to expand his market and is keen on signing interesting projects. The actor finally wrapped up the shoot of Spyder which has been delayed by months. He is currently shooting for his next movie in the direction of Koratala Siva. The movie has been titled Bharat anu Nenu and it will showcase Mahesh as a Chief Minister. Kiara Advani is the female lead and the shoot of the movie is currently taking place in Hyderabad. Mahesh gave his nod for his next movie in the direction of Vamshi Paidipally and the movie will be shot extensively in USA. Vamshi is currently busy with the script work and he is said to fly to USA for finalizing the locations for the movie. Getting inspired with the real locations, Vamshi is all set to work there for over a month informed sources. Pooja Hegde has been rumoured to play the female lead in the movie which will start rolling early next year. Dil Raju and Ashwini Dutt will jointly produce this big budget film.